Crawford, James. 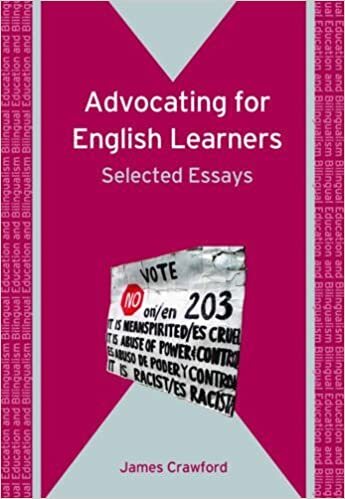 Advocating for English Learners: Selected Essays / James Crawford. Bilingual Education and Bilingualism. Includes bibliographical references and index. 1. Education, Bilingual–United States. 2. English language–Study and teaching–. Foreign speakers. 3. Education–Political aspects–United States. Advocating for English learners : selected essays. Responsibility: James Crawford. Imprint: Clevedon ; Buffalo : Multilingual Matters, c2008. Physical description: vi, 193 p. : ill. ; 21 cm. Series: Bilingual education and bilingualism ; 69.